10th Annual Forum: propose a seminar for the programme! The call for seminar proposals for the 10th Annual Forum is open! All strategic EUSBSR stakeholders are invited to participate and propose interesting seminar topics for the event by filling in a short application. Deadline for proposals is on 15 February 2019! What kind of proposals do the organisers wish to receive? When drafting your proposal, keep in mind the overall theme "Circular and sharing economy as an answer to demographic changes and environmental challenges in the Baltic Sea Region” and main themes of the 10th Annual Forum. In addition, content of the seminar must be based on clear added value for macro regional cooperation for the Baltic Sea region. The year 2019 is a unique year for the EUSBSR as the Strategy celebrates its 10th anniversary. The National Coordinators' group has also sent a message for the jubilee year. The message highlights particularly the importance of macro-regional cooperation that has lasted already for 10 years in the Baltic Sea region: "Macro-regional challenges persist, and the Strategy provides concrete answers." 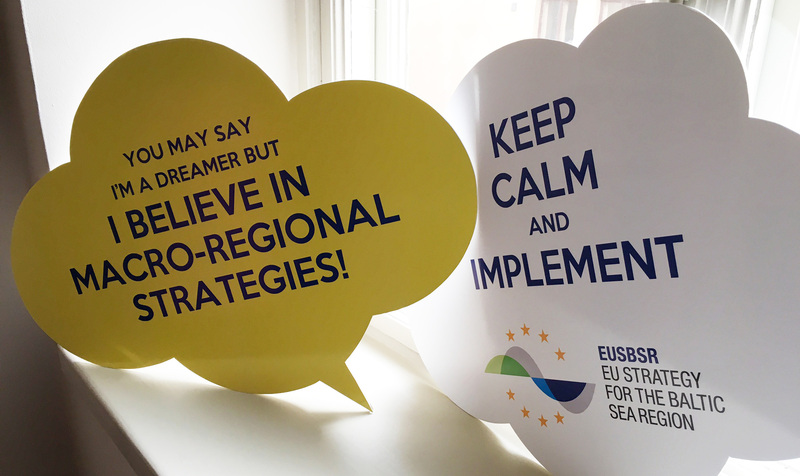 Read in our blog about the importance of the Strategy in Norway, and what it means to be an EUSBSR neighbour. What kind of opportunities do the growing trade flows between Asia and Europe offer to the Baltic Sea region transport systems? More in our blog! Check the upcoming events and latest EUSBSR news on our website!